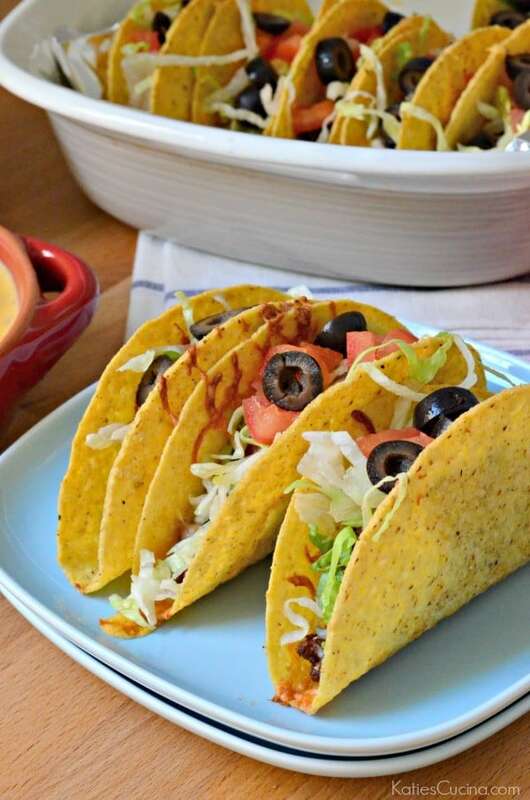 Say goodbye to soggy tacos after you read this post! Get ready to blow minds during your next taco night. I recently decided to bake our tacos before serving and oh my… after one bite I’m not sure why I had never baked tacos before. Game changer. That’s for sure. I love a good crispy crunchy taco. The problem with crunchy tacos these days is that they sit and sit while I feed the baby and I end up with soggy tacos. Let’s face it. No one likes soggy tacos. After reading a little bit about baked tacos online I decided to give it a try. I also spiced up the traditional ground beef taco and added in some chorizo. I was not able to find fresh chorizo sausage so I went for a prepackaged sausage. I feel that it worked beautifully with the ground beef and added in a smoky flavor! When I have the chance and can find fresh chorizo I’ll definitely be trying it. Baking these Ground Beef and Chorizo Baked Tacos would also be a great way to entertain. You can make the filling ahead of time and even stuff them ahead of time. 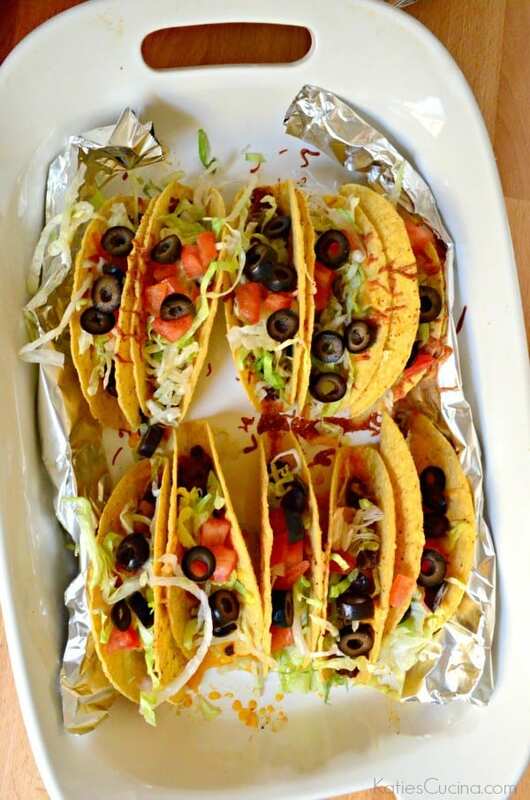 Then bake them when your guest arrive and place them on the table with a variety of toppings and let your guest top their taco the way they like to eat them. My husband and I ate 4 tacos each with ease… I used the traditional corn taco shell not the “stand and stuff”. 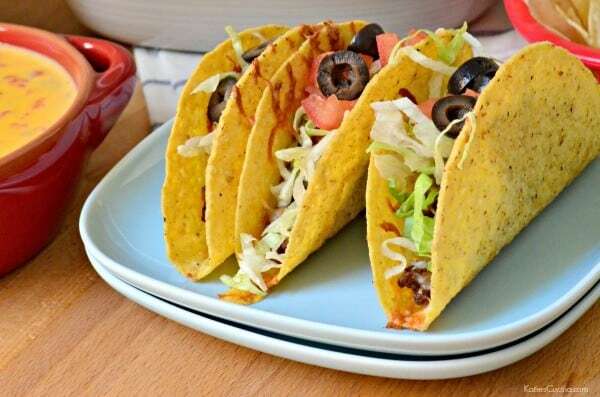 To be honest, these thinner tacos as I like to call them reminded me of my high school days when I would venture to a very popular chain fast food taco place to get .49 cent tacos. Anyone ever partake in that? You could eat for $1! Those were the days. I will preface that these are 100% better than that chain fast food taco restaurant and even better you know exactly what you are eating. Remove the casings from the chorizo and dice. Set to the side. Place the ground beef and diced chorizo in a skillet. Cook on high, breaking up the meat for the first 3 minutes. Reduce the heat to medium-low and add in the onions and bell pepper. Mix and break the ground beef a part. Cook for an additional 5 minutes until you no longer see pink in the ground beef. Add the taco seasoning and mix well. Remove from the heat. Begin stuffing taco shells with ground beef and chorizo mixture. 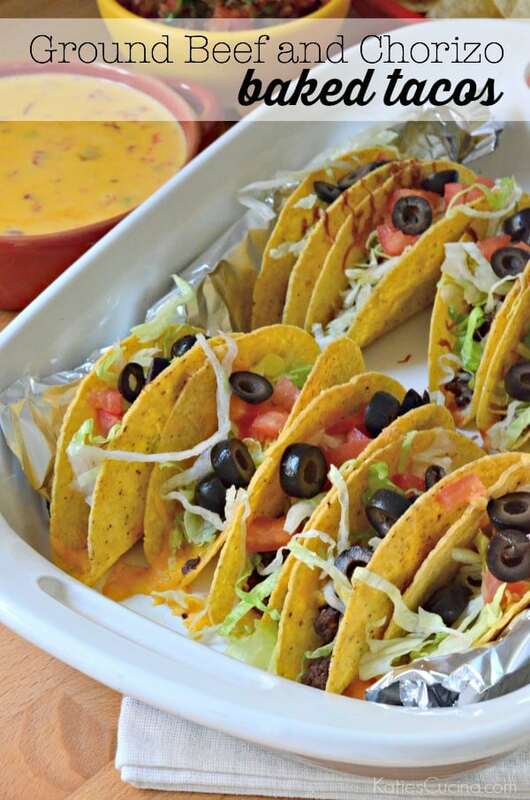 Top with cheese and place in a glass baking sheet ensuring that the tacos are standing upright. Bake for 12 minutes until golden brown. Remove from the oven and top with shredded lettuce, diced tomatoes, and black olives if desired. *Depending on how full you stuff the tacos will depend on if you have filling leftover. * I like to dice up a wide variety of bell peppers and keep them in my refrigerator all week. That's what I used for this recipe a scoop of the mixed bell peppers. YUM! I love the addition of chorizo and now, I can’t wait to bake our tacos. Pinned for sure! Keri–your life will be forever changed!! !